This year’s jury-selected program will include an emotional look at siblings’ memories in experimental short “We Do Too” (Produced/Directed by Meghan Sims), a look at a young woman’s life after breast cancer in documentary short “Grace” (Produced/Directed by Rachel Pikelny), an exploration of curiosity, sleep, and space in animated shorts “Lullaby Theories: Cereal Fluid” and “The Soul of a Circle” (both Produced/Directed by Clara Lehmann and Jonathan Lacocque), a magical, imagined world in music video/short “Dewhorn” (Directed by Brandon Kapelow, Executive Produced by Jennifer Goodridge and Laurie Adrianopoli). There will be a high-tech battle between pets of the future in “Penelope” (Directed/Written/Co-Produced by Patrick Lewtschanyn, Co-Produced by Laura Thapthimkuna), and, in four selections from director Andre Muir, see a community struggle with the impact of gun violence in narrative short “4 Corners,” as well as take on themes of love, romance, and a modern take on 1950’s retro in music videos “4 Leaf Clover (Ravyn Lenae’s “4 Leaf Clover,” feat. Steve Lacy), “Rock ‘n Roll” (Taylor Bennett’s “Rock ‘N’ Roll”), and “Symphony” (Towkio’s “Symphony” featuring Teddy Jackson). The Midwest Independent Film Festival is a year-round movie event in Chicago that takes place the first Tuesday of every month, at the Landmark Century Centre Cinema. The festival has been recognized by Chicago Magazine in their “Best of Chicago” issue, and has become one of the top places for local filmmakers, producers and actors to network in the city. The festival also offers the Producer’s Panel and a post screening after party. 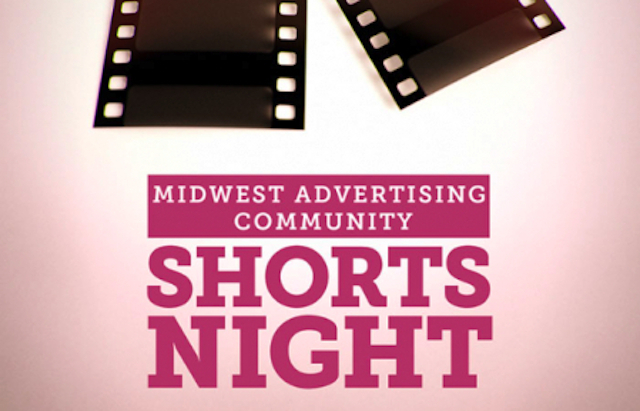 The Midwest Independent Film Festival (with the Association of Independent Commercial Producers) presents “Midwest Advertising Community Shorts Night” on Tuesday, November 6th, 2018 (6pm start), at Landmark Century Centre Cinema, 2828 North Clark Street, Chicago. For more information about the Festival, click here.